You’ve probably received an e-mail attachment or had a colleague send you a file with a .zip extension. If you’re scratching your head wondering what the heck the .zip means or how you’re going to open that document, worry no more. 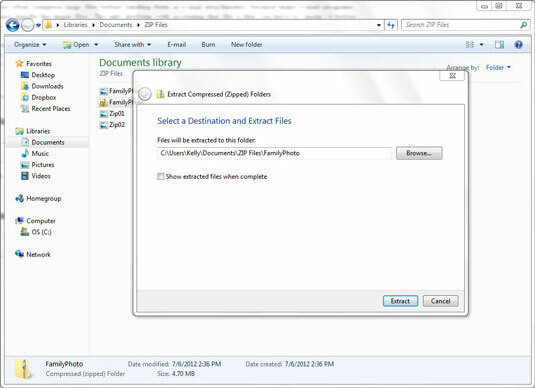 The .zip extension at the end of a filename indicates that the file is compressed. This means that all the data in the original file is still there, but it has been compressed so that the file is smaller and uses less memory. Users often compress large files before sending them as e-mail attachments, because many e-mail programs cannot handle the larger files. The only problem with accessing that file is that you have to “unzip” it before you can use the data. Extracting a file is another way of saying “unzip,” because the command you choose is Extract All. Right-click on the file you want to unzip. Select Extract All. . . from the drop-down menu that appears. A dialog box appears telling you where the files will be located when they are extracted. You can Browse through your hard drive folders and place them wherever you’d like. A new folder appears (no lock). 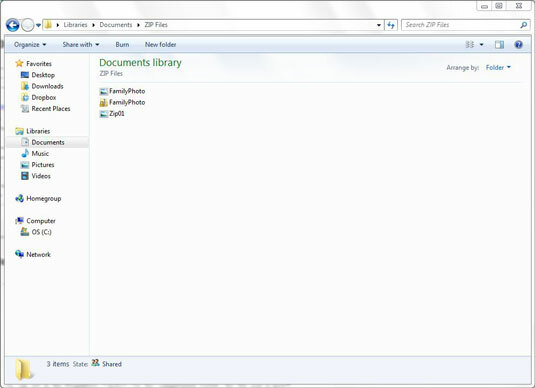 Within that folder, you’ll find the complete, original file. Just open it and use the data as you would normally. Right-click on the file you want to compress. 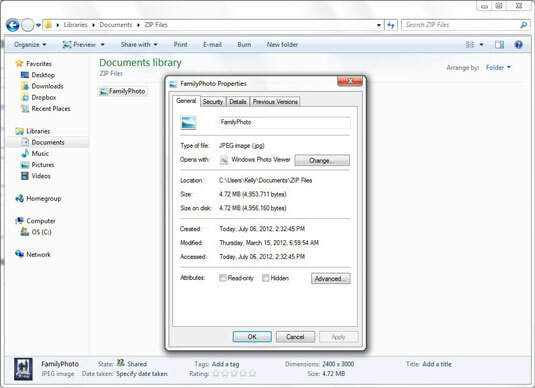 As you can see in the Properties window for the file FamilyPhoto, the image is 4.72 MB. From the drop-down menu that appears, select Send To→Compressed (zipped) folder. 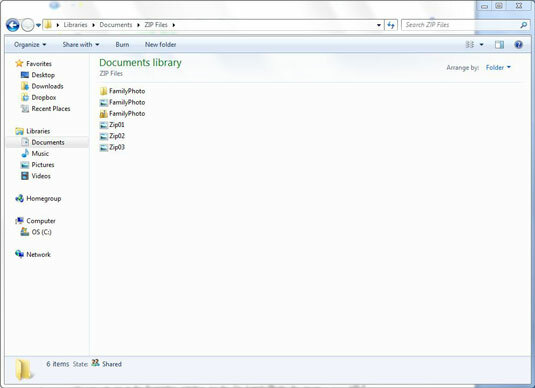 A new folder with a locked folder icon appears in the window just below the original file. That’s all there is to it! The new file/folder is slightly smaller than the original. Where you can get some major space saving is to select a group of data files and send them all to one compressed folder. This is a great time-saver for uploading files to an ftp site.